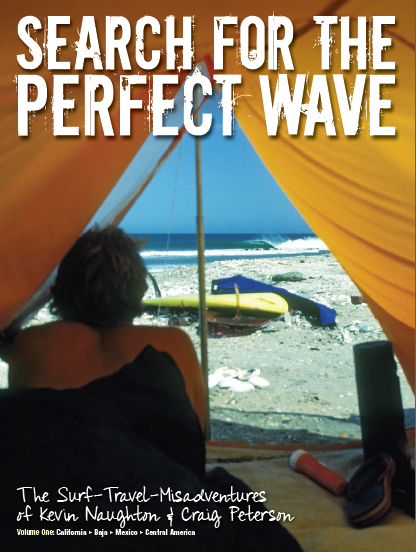 After two months of tetris-like design work fitting in all the photos, words, maps and other good stuff into the layouts from SDA Creative in Capistrano Beach, CA, Volume 1 is done and off to the printers. We are super stoked with how it came out! 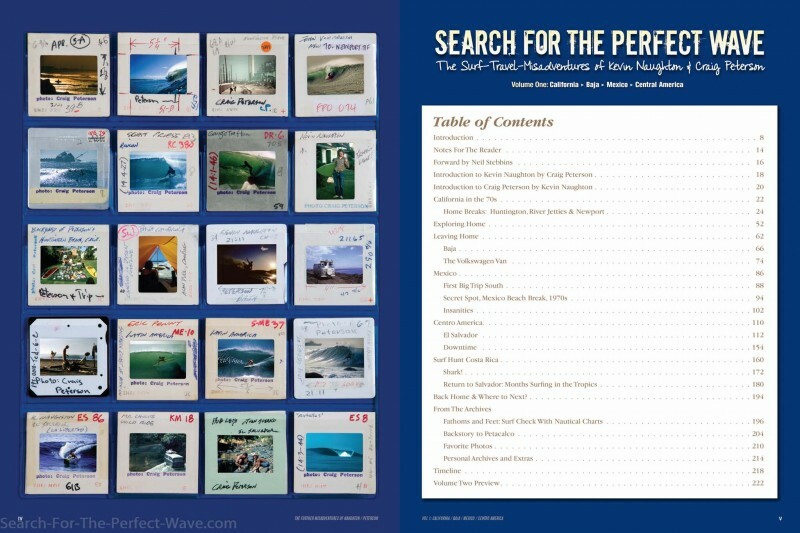 ‘Search For The Perfect Wave’ a full color 224 page coffee table sized surf travel book (9″ x 12″), featuring over 420 of Peterson’s photos, new writing from Naughton and a handful of miscellaneous personal notes (such as how we ended up naming surf spots after our girlfriend — or hopefuls!). We definitely packed it full! Here’s the Table of Contents to help answer the question we’ve been getting lately: “What’s in the book, anyway?” Also including the final version of the cover. And don’t forget to like our Facebook page to see more frequent updates as well. This is going to be a very visual and fun ride for everyone who sees the book!